Handmade of old tanga's (100% cotton sail cloths) and hand painted. 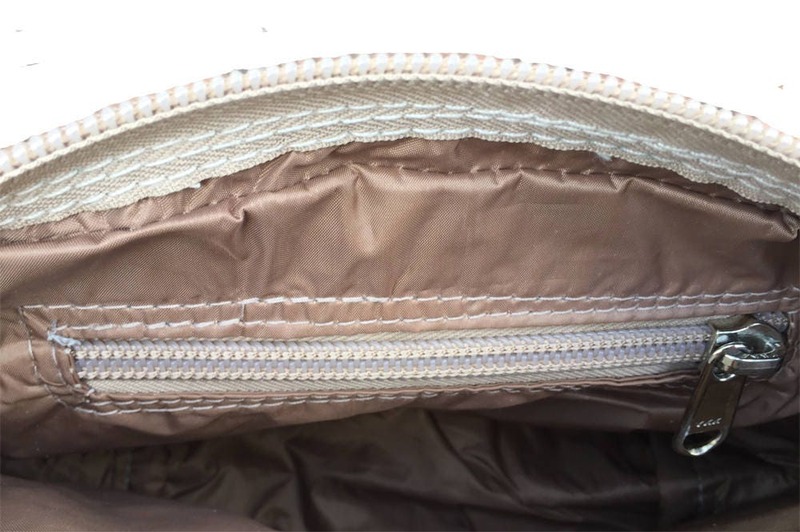 With zipper, water-resistant lining. 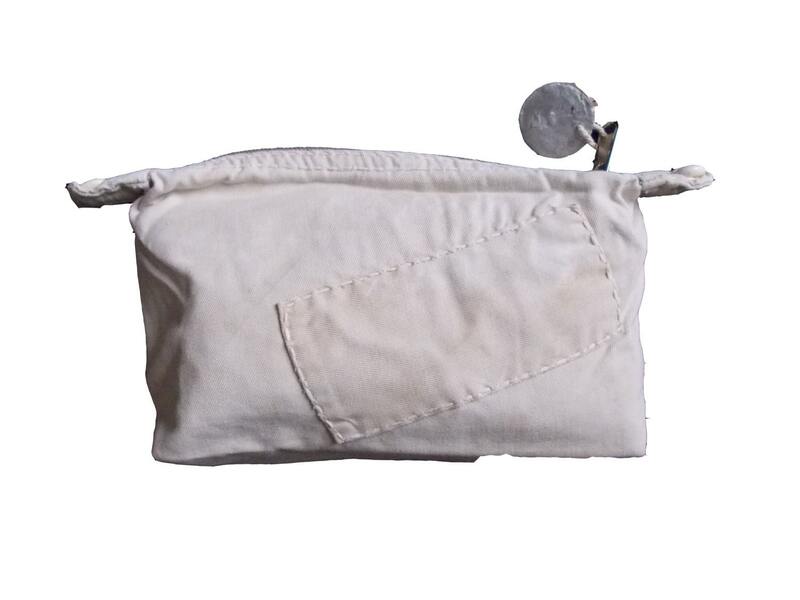 Pocket inside with zipper. Decorated with shells. 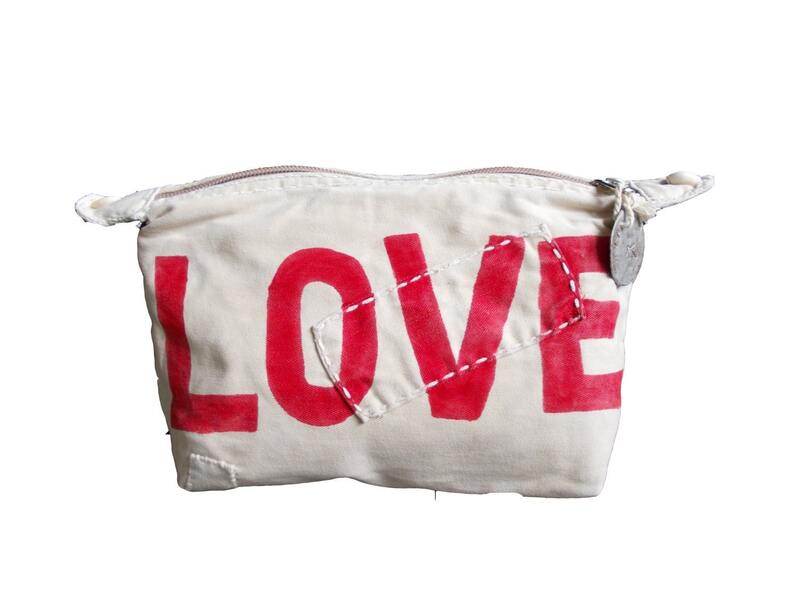 This clutch, can be used as Wash bag or a travel Clutch. The patching of the clutch can vary from the picture you see. 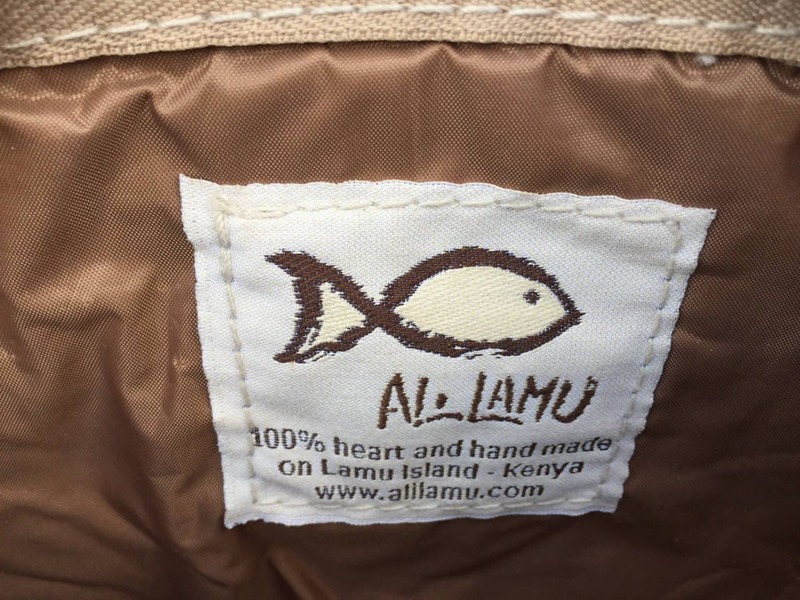 This is what makes every Ali Lamu product unique. Ali LAMU is the story of Daniela and Ali. Daniela Bateleur was born in Italy. 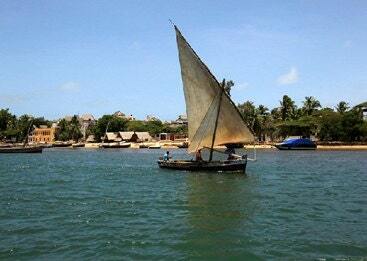 After years of travelling throughout Africa, she arrived in Lamu, in the north east of Kenya. One day she was walking on the beach when a fisherman approached her asking for work. The sea was too rough to go fishing that day. Daniela said she did not have work for him, but that she was looking for used sailcloth’s of the local fishing boats (called Tanga in Swahili). She felt those old sails were artworks on its own, created by the wind, the salt water, the sun and the rain during all those years sailing the ocean. Ali, the fisherman, came back a few days later with a very old TANGA. So beautiful. The beige colour was amazing. Impossible to reproduce. The elements were the masters behind this artwork. 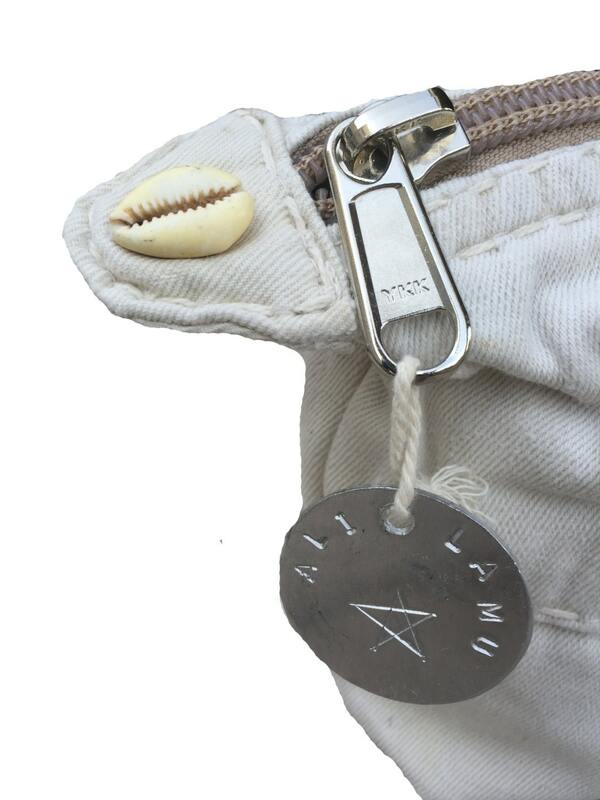 Ever since Ali and Daniela create products from old sail cloths. Many more fishermen came asking for work and wanted to join the Ali Lamu team. So Daniela and Ali decided to give every fisherman a chance; sewing tanga’s, making handles for the bags, looking for recyclable material, smacking bear bottle caps and burning them, cutting sailcloth, making designs for cushions etc. 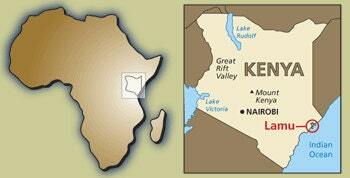 After the products are finished they are transported on donkeys to the harbour and then shipped by boat to the mainland of Kenya.s to the harbour and then shipped by boat to the mainland of Kenya.